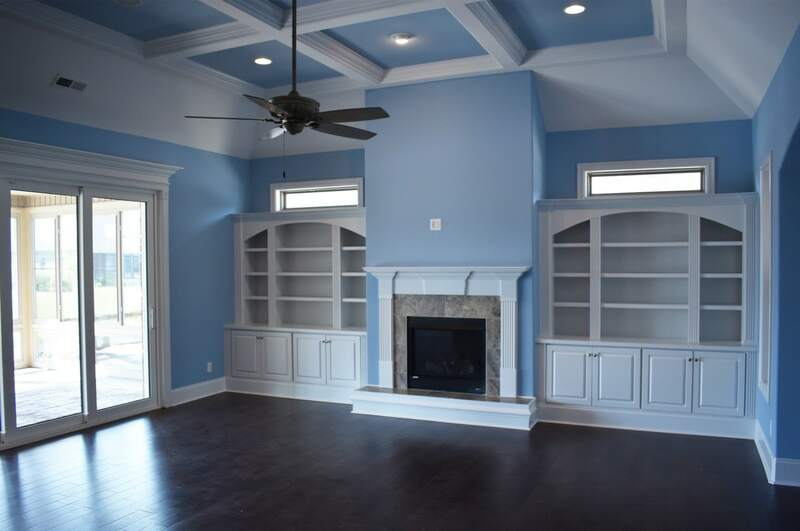 How Customizeable Is a Liberty Home? 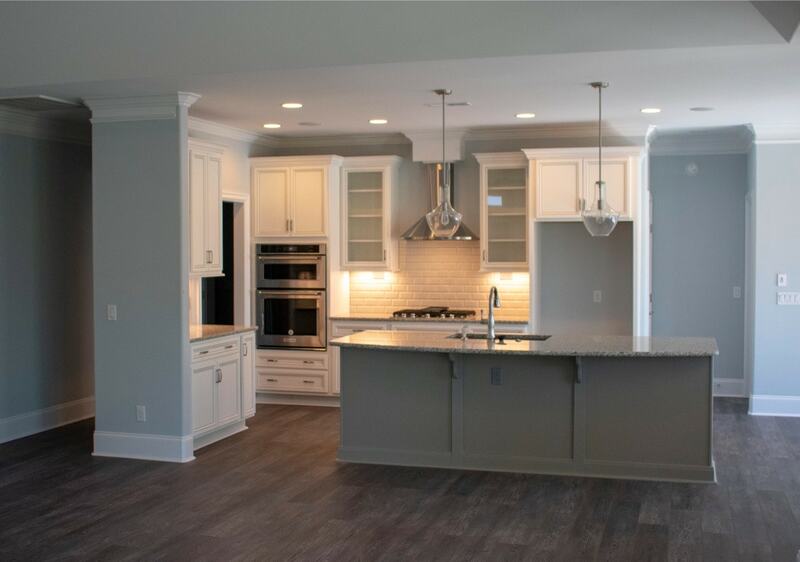 We are currently building three homes in three separate communities that have one very important thing in common--they all have the same floor plan: Biscayne II! 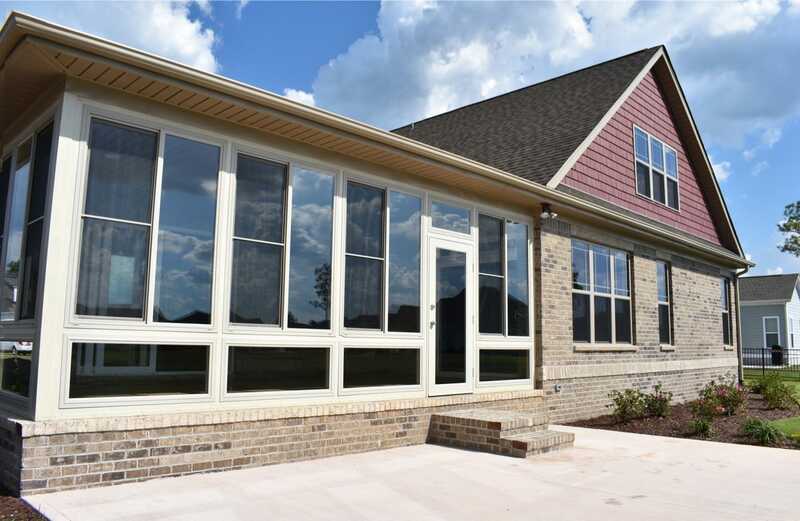 Try out the awesome Biscayne II Floor Plan Explorer below to learn about the home's layout and the customization Liberty can build into any Biscayne II home. 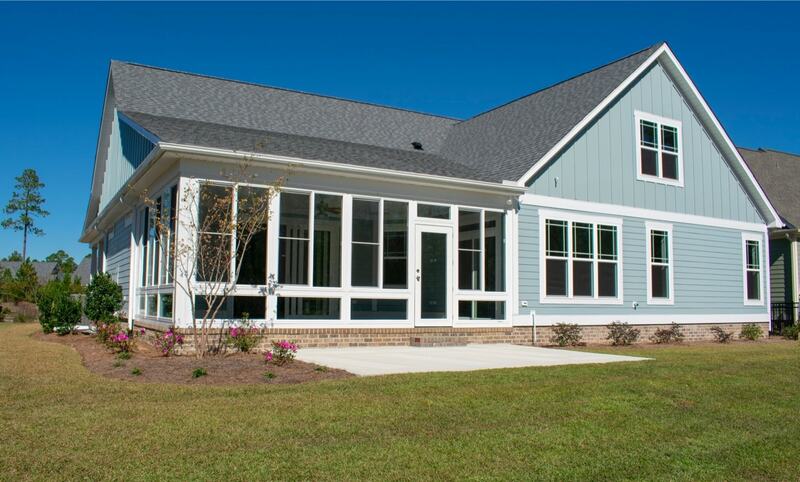 Want to learn more about the Biscayne II and all of our other Floor Plans? Want to learn more about Where We Build, including these three Communities? 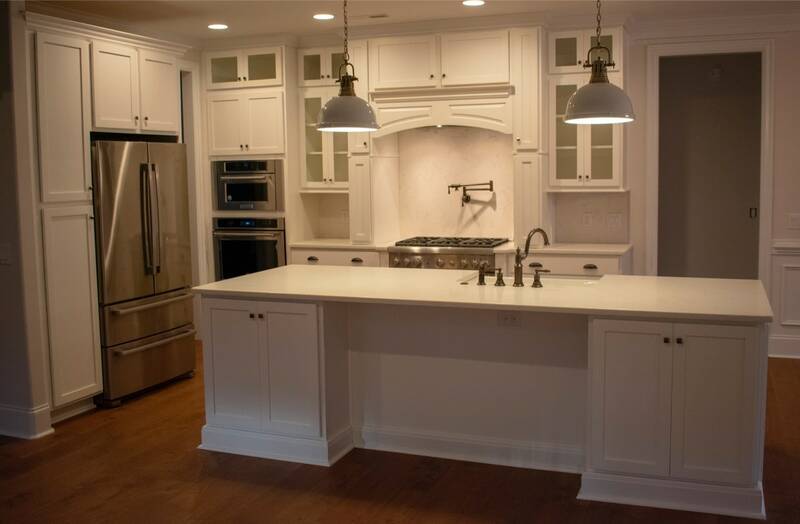 Each of the kitchens in these drastically different Biscayne IIs have a center island and cabinets around the perimeter. 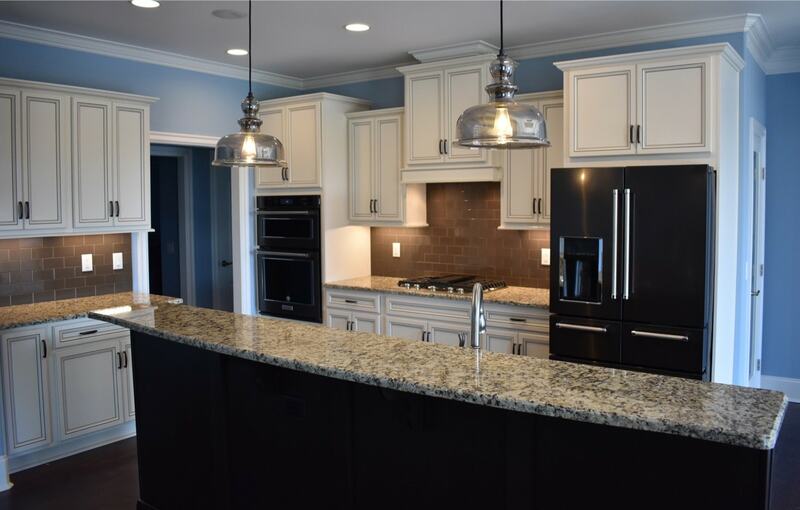 However, each client got to choose the cabinet color and style, the appliances, wall colors and general layout. (House #1-to the right, House #2-bottom left, House #3-bottom right). 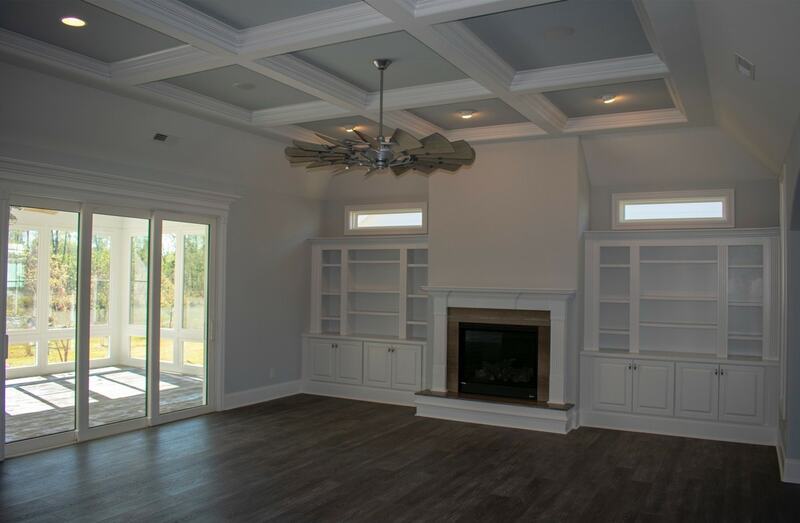 Each living space in these homes has a beautiful fireplace with surrounding built-in shelves. 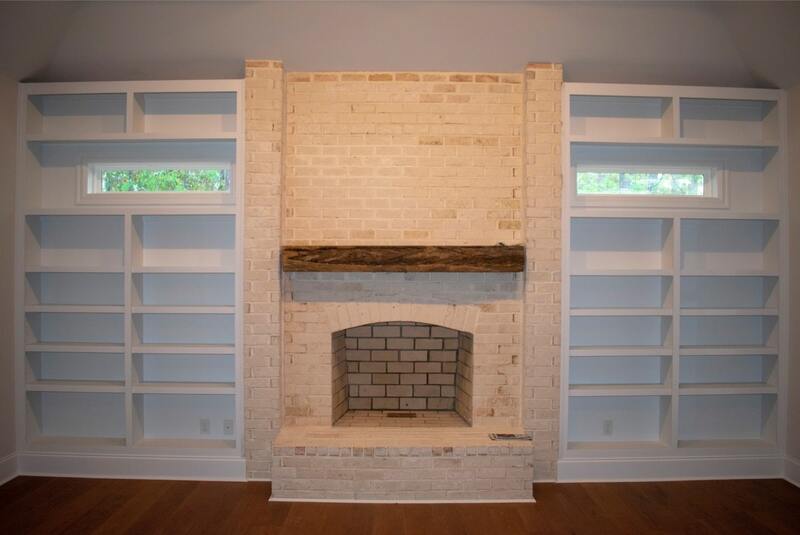 Every client had the opportunity to work with our builders and designer to decide how many shelves or cabinets they wanted, how high to make the shelves, and choose an overall look of the fireplace. 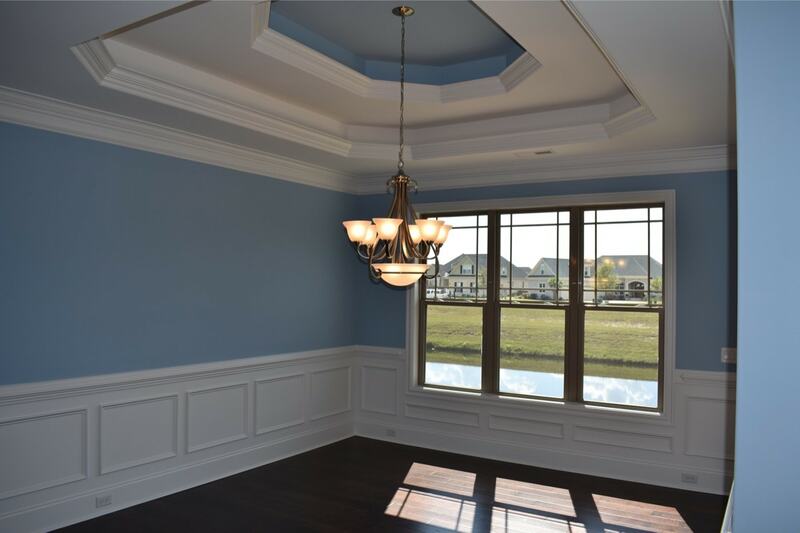 The homes vary from classical to modern to rustic! (House #1-left, House #2-middle, House #3-right). 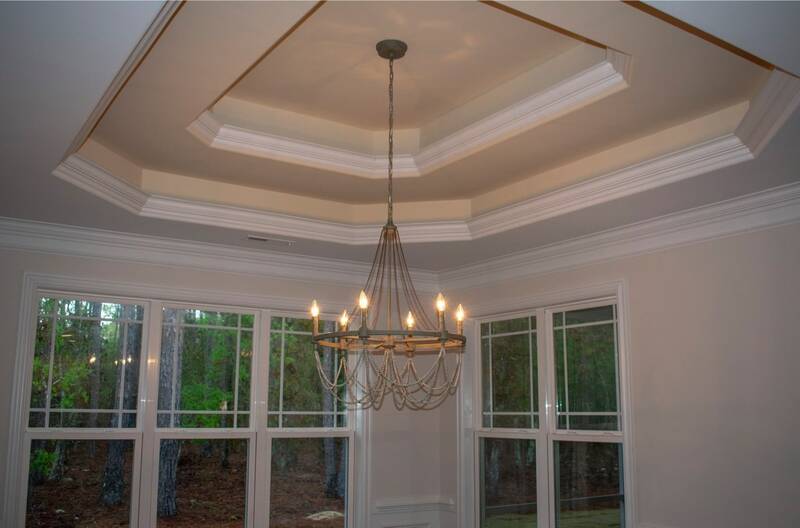 Each Biscayne II dining room has a gorgeous tray ceiling and chandelier. 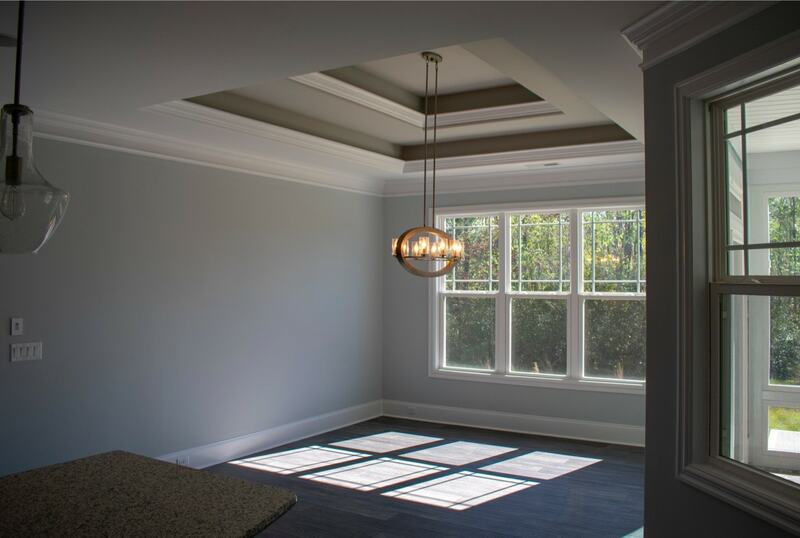 The shape of the tray and the light fixture was all up to the client! (House #1-to the left, House #2-bottom left, House #3-bottom right). 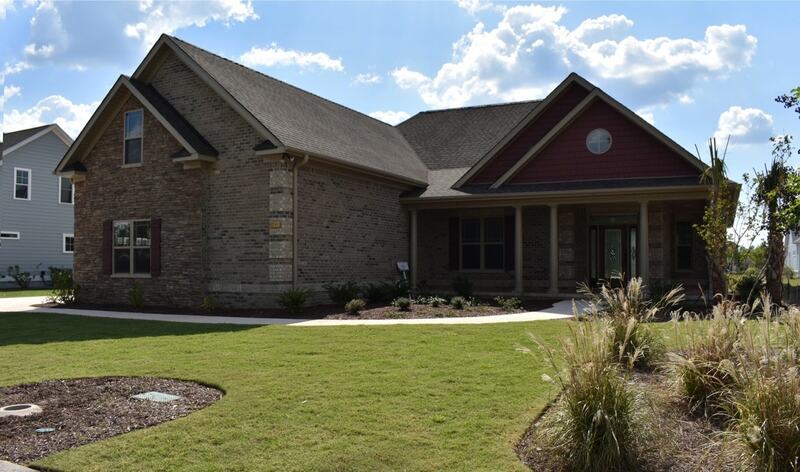 Because each of these homes have been customized to fit each family, they all have some special features included. 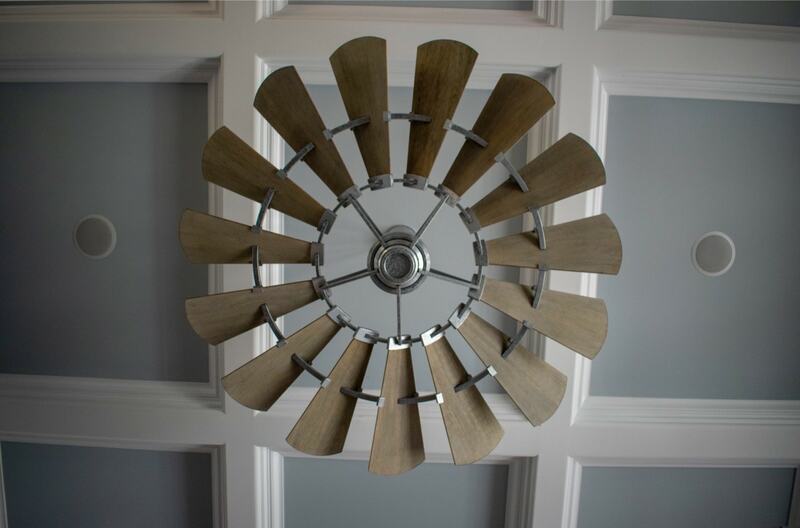 One client decided to add a huge ceiling fan in a coffered ceiling over the living space. 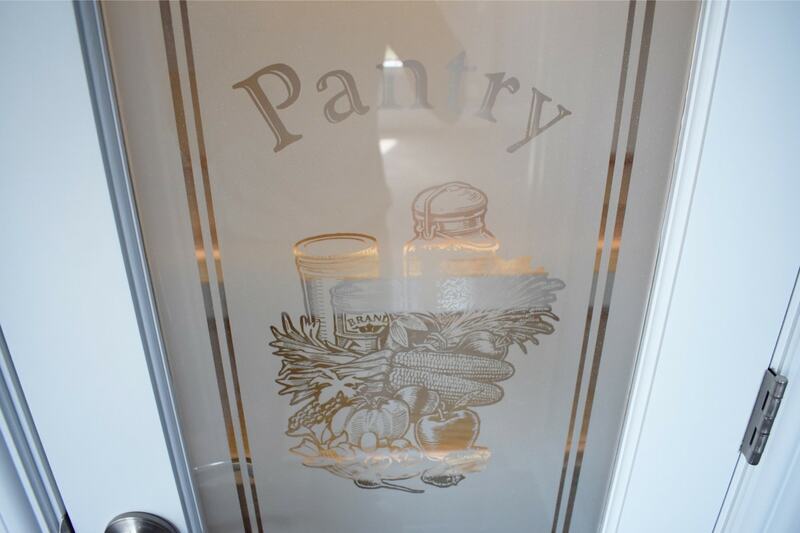 Another decided to showcase a frosted pantry door that adds a homey touch to the kitchen. 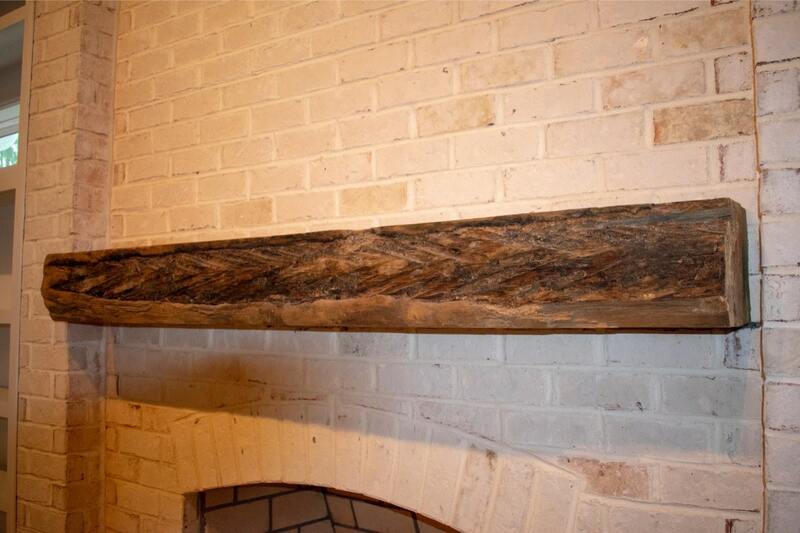 For a more rustic look, another client decided to add a wooden mantle over the full brick fireplace. (House #1-to the right, House #2-bottom left, House #3-bottom right). Which Biscayne II is YOUR Favorite?! 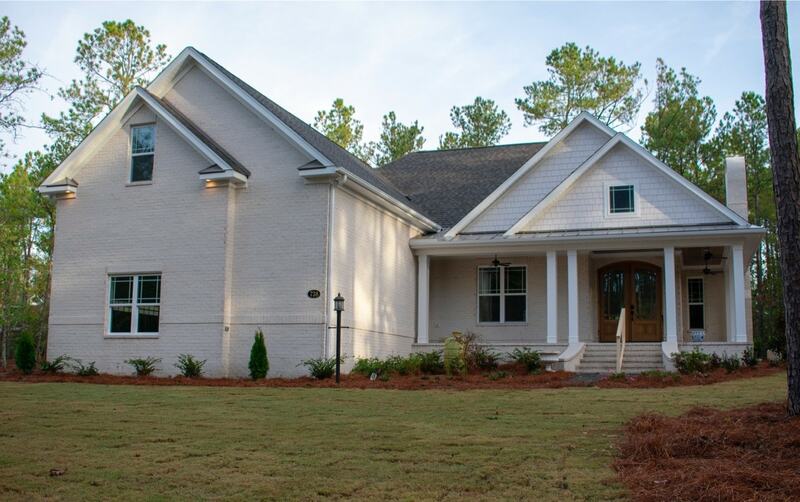 House #1, #2, or #3? 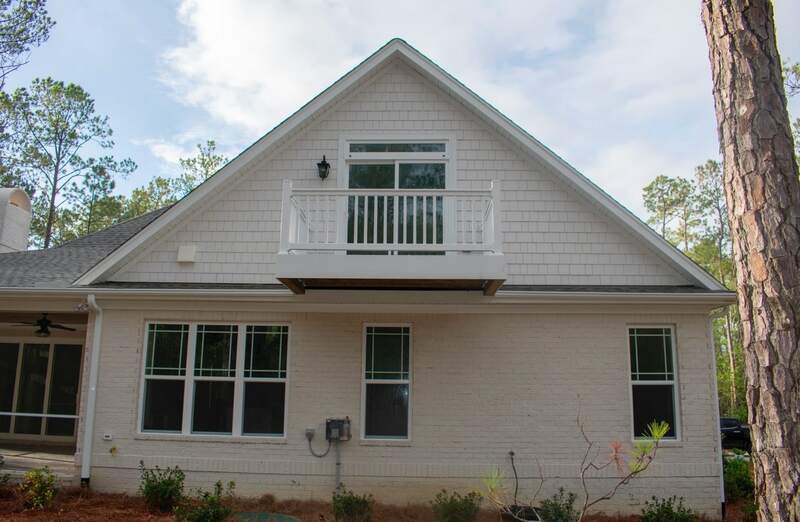 We are so excited about all of these homes. Before long, they will be complete and new the owners will be able to add furniture and their own personal design touches. 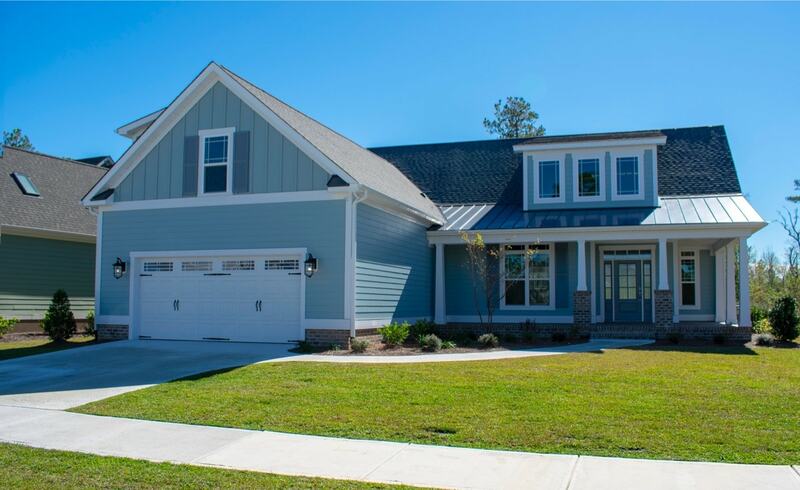 Share this blog post on social media and tell us which home fits your style and be sure to stay tuned to see more of these homes once they are finished!